Second Breakfast Wishes Audrey Hepburn a Happy Birthday! So, I’ve just completed my last week of classes ever and I’m gearing up for my last week of finals ever. 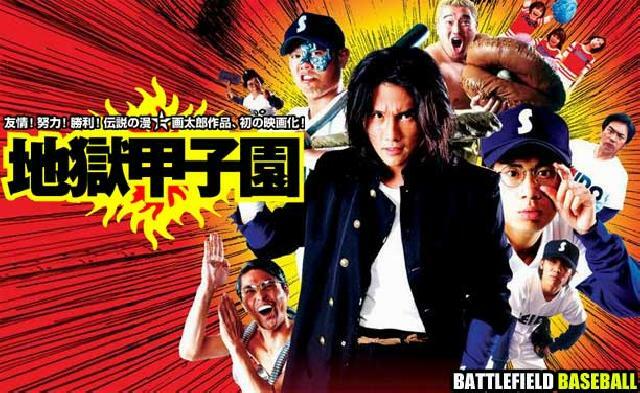 Logically, this meant that I was planning to write an article about a little movie called Battlefield Baseball, a low-budget Japanese action/horror/comedy/drama/sports/musical about an underdog baseball team who must learn how to work together in order to survive a game against a vicious team of zombies. Then I realized that today would have been Audrey Hepburn’s 85th birthday, so I’m going to write about that instead. Obviously, I’m saying nothing new or groundbreaking by commenting on how Audrey Hepburn is practically perfect in every way. We’ve mentioned her a few times on this blog before. You all know how great she is, but did you know that there’s an Audrey Hepburn for every possible mood you’re in? Oh snap…no, new challenge for myself…is there one Audrey Hepburn for every myriad genre of Battlefield Baseball? ACTION HEPBURN: Okay, I’m not gonna lie, but Audrey Hepburn hasn’t been in many films that one would necessarily describe as fitting in the action genre. I guess I’m not going to get much closer than Charade, though, which is a pseudo-spy thriller/comedy/romance/mystery…eh, it fits nearly as many genre categories as Battlefield Baseball. That said, Charade is a flawless movie. Focusing on the espionage/action aspects, this film is at times a really gripping thriller, full of tension, danger, and some grim scenarios. So, yeah, sort of an action movie a little bit. Not really. I shouldn’t have started with this; I’ve lost the game already. HORROR HEPBURN: When I was a wee l’il sprog, as many of you know by now, I was quite into what I referred to as horror movies. What I meant was Universal Monster movies. I loved the Gothic and German Expressionist styles of these wonderful films, the monsters who were horrific, but sympathetic, the black-and-white. I didn’t like being scared, though. Unfortunately, since my understanding of the horror genre began and ended with The Creature from the Black Lagoon, I felt pretty cocky and figured I could take anything. I was mistaken. Now, we occasionally watched some movies that scared the ever-loving bejeepers out of me, but I was very unprepared for the 1967 classic Wait Until Dark. Why? Audrey Hepburn’s in it, I thought, so it’s not going to be that scary. I had some trouble sleeping that night. I don’t really know what I was expecting. COMEDY HEPBURN: Audrey Hepburn was in a lot of brilliant comedies, but since I already used Charade, I guess I’ll go for How to Steal a Million. She was a lucky lady, teaming up with such charming gents over the course of her career as Cary Grant, Gregory Peck, Albert Finney, Sean Connery, James Garner, William Holden, Humphrey Bogart, Fred Astaire, Rex Harrison, George Peppard, Burt Lancaster, and others. Who was really lucky, though, Hepburn or the male costars? 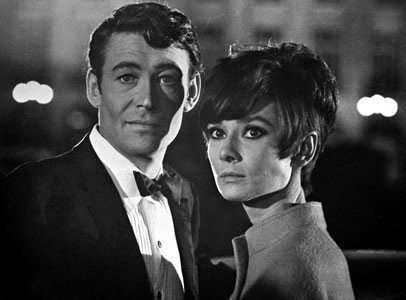 Well, in How to Steal a Million, she stars alongside a young and suave Peter O’Toole. For an art heist. It’s a really good time. I highly recommend it. DRAMA HEPBURN: Again, I have a lot to choose from here, because she had a ton of great dramatic roles. One of her best, but I think lesser known performances is in The Children’s Hour, in which she and Shirley McLaine play school mistresses who are wrongfully accused of being lesbians. This movie came out in 1961, and was actually quite edgy at the time. I personally found the ending highly unsatisfying, but both Hepburn and McLaine deliver powerful performances. It’s worth checking out, but will probably make you feel bad about yourself. SPORTS HEPBURN: There’s a scene in Sabrina that takes place on a tennis court. She doesn’t play tennis in it, but I’m going to count it anyway. Sabrina, everybody. MUSICAL HEPBURN: Yeah, My Fair Lady. I really, really liked My Fair Lady until the terrible, bleak, unfulfilling ending. Audrey Hepburn gives a strong performance, even though she doesn’t get to do most of her own singing. No, if you want some great musical Hepburn, there’s nowhere better to turn to than Breakfast at Tiffany’s, wherein she plays Henry Mancini’s Oscar-winning song “Moon River.” Can’t go wrong there. So yeah, we’re wishing Audrey Hepburn a very happy birthday today. She died at the age of sixty-one, which was much too soon, in my opinion. Still, I’d rather have not enough than none at all, right? If any of the rest of you out there are gearing up for finals week, consider taking a break every now and then, and unwind with an Audrey Hepburn movie. Or Battlefield Baseball. Whichever.